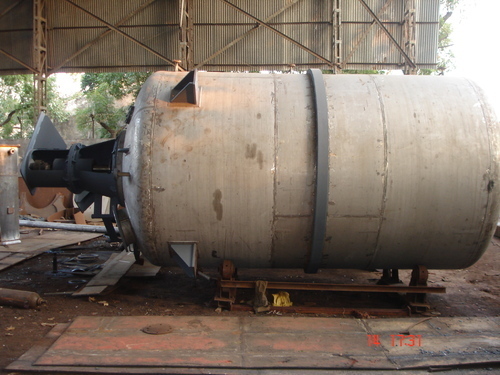 We are manufacturer of Reactor Vessels for Industries that are designed to meet multiple aspects of various industries. Our reactors maximize net output value for any the given applications. Designed as per the international standards, our reactors ensure highest efficiency towards the desired output. Besides being cost-effective and durable, our rectors require less maintenance. "Premier Engineering & Equipment Mfg. Co." was established in the year 1975. We are engaged in Manufacturing, Supplying and Exporting of Industrial Plant & Equipment. Our product range includes Industrial Chimney, Storage Tanks, Air Receiver, Chemical Plant Machinery, Vulcanizer, Reactor Vessels, Heat Exchanger, Pressure Vessels etc. Fabricated using premium raw material, our products are available in different sizes, shapes and designs at market leading prices to fulfill the requirements of our clients. We have a modern manufacturing facility, which enables us to fabricate a bulk of products to fulfill the demands and requirements of our clients within the stipulated time frame. This is managed by a team of expert professionals, which has a years of experience in this domain. Our team of uses almost all the available resources for achieving utmost customer satisfaction. Further, it helps us in providing customization as per the specifications detailed by the customers to meet their needs.